Husky Energy has put its heart into Newfoundland and Labrador in a tangible way through a pair of projects that will have a positive impact on health and safety throughout the province. 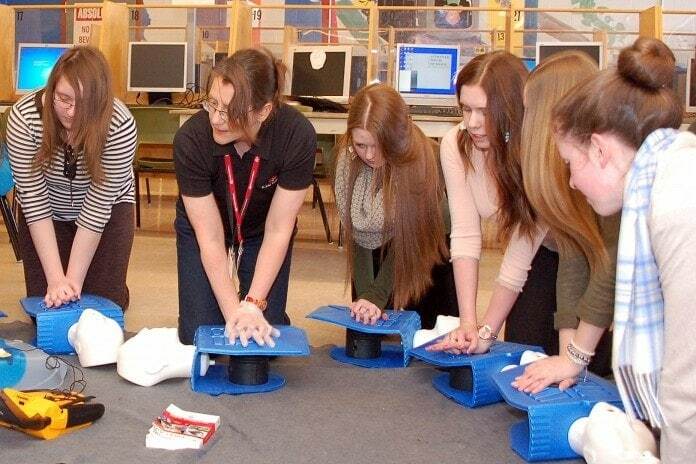 A contribution to the Heart and Stroke Foundation Newfoundland and Labrador Division has allowed the group to install 70 Automated External Defibrillators (AEDs) in schools around the province. Locations have been prioritized to rural areas where school gymnasiums see high usage by public groups, often doing double duty as unofficial community centres. In addition to the AEDs, the gift provides associated training for up to eight staff per school. The company is also spreading the health and safety message to high school students taking Workplace Safety 3220 (WS 3220). Through a partnership with the Workplace, Health, Safety and Compensation Commission, Husky will help provide First Aid/CPR training to 3,000 students over three years. The training has been an optional piece of the course because students were required to pay an additional fee to participate. Husky’s donation will remove the financial barriers for students, allowing them to receive this potentially life-saving training at no cost. The course is now offered in over 30 schools across Newfoundland and Labrador, including those in Mary’s Harbour, Corner Brook, Botwood, Grand Bank, and Mount Pearl.